It’s no secret that beautifully lined eyes look more awake and defined. Rev up your look with Velvet eyeliner, a quick drying water-based liquid eyeliner that stands out from any other liner on the market. The flexible tapered velvet-like tip is unique, versatile and gives the ultimate eyeliner application experience. Revolutionary in feel and flexibility, the long tip allows for a greater degree of control. 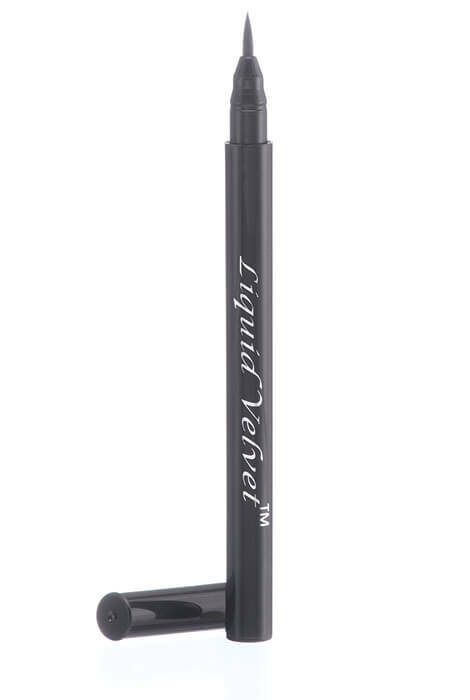 The eyeliner glides on gently and super smooth for perfect detail, control and precision. No skipping, dragging or pulling that can damage skin over time. Create thick, bold lines for a dramatic evening look, or apply less pressure to create thin detailed lines for a classic, elegant style. Velvet also performs beautifully as creative costume makeup. No matter what look you choose, the long-lasting results are smudge-proof, quick drying and beautiful. Thanks to Velvet’s unique internal agitator ball, similar to a bottle of nail polish, there are no issues with clumping or color separation that can happen with other eyeliners. No need to keep a variety of different eyeliner products in your makeup bag—Velvet does it all. Removes easily with warm water and cloth, so you don’t need to use harsh facial cleansers that can damage and age skin. 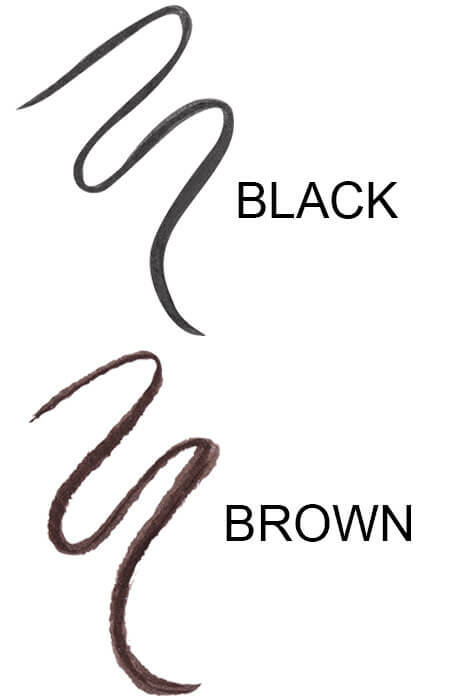 Available in five gorgeous colors to suit your mood: black and brown. have purchased and love it.